This project is funded by the Regional Planning Commission of Greater Birmingham's Building Communities Program. 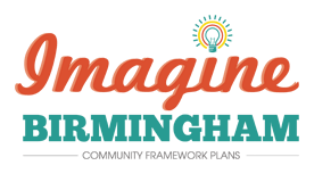 The Framework Planning Process is being conducted by the Regional Planning Commission of Greater Birmingham, operating under contract to the City of Birmingham. Calendar of meetings and events for the Western Area Framework Plan. Click HERE to get information from past meetings. Stay informed and get involved in the Western Area Framework Plan's development! Sign Up now to get more information. Click HERE to obtain reports and technical memorandums from the project library.